The Green Bay Booyah announced the signing of two players who were part of their 2018 roster. 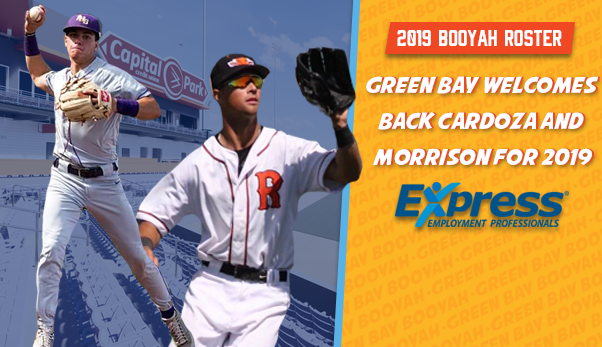 Outfielder Cooper Morrison (UC Davis) and shortstop Esteban Cardoza-Oquendo (Navarro) both return to Green Bay following productive 2018 campaigns. Morrison, a junior out of El Cerrito, California, spent his sophomore season at Reedley College. 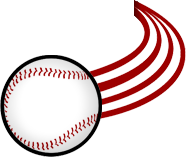 Morrison hit .358, including 4 home runs and 41 runs driven in. With Green Bay last season, Morrison appeared in 53 games, racking up 187 at-bats. While hitting .257, Morrison also produced on the base paths, stealing 14 bases. The 14 stolen bases ranked 2nd on the team, only 4 behind the leader Preston Pavlica. With Morrison returning, the Booyah have a formidable outfielder, a quality bat, and speed returning to the lineup. Cardoza-Oquendo, standout at Navarro College and Baylor commit, will begin his second year of play at Navarro. The shortstop hit .303 with a homerun and 37 RBIs for Navarro during his freshman campaign. His 23 double plays turned ranked 56th in NJCAA. In Green Bay last year, Cardoza-Oquendo flashed the leather while still providing a steady bat in the lineup. He slashed .235/.426/.346, and had a near 1.000 fielding percentage. Cardoza was an on base machine, boasting an impressive .426 OBP and 23 walks in limited at bats. The switch hitters best game of the season came down the stretch at Lakeshore, when he cracked two home runs to go along with four RBIs. These two will bring a ton of experience and talent to the 2019 roster. The Booyah will open up The Green Bay Booyah open up the season on Tuesday May 28th at 7:05 in Traverse City, Michigan. Capital Credit Union Park will host the first Booyah home game on Saturday June 1st at 7:05.